Item Number: 27-4-58 17964 Actual Weight: 12 lbs. Heat-resistant material emits less odor when autoclaving. High gloss, transparent, and autoclavable tubing is ideal for medical, dental, lab, or food service implements. Meets FDA and USDA specifications for food contact. Roll has 3" core with a 1" diameter opening. Call for details about custom sizes and mil thicknesses. 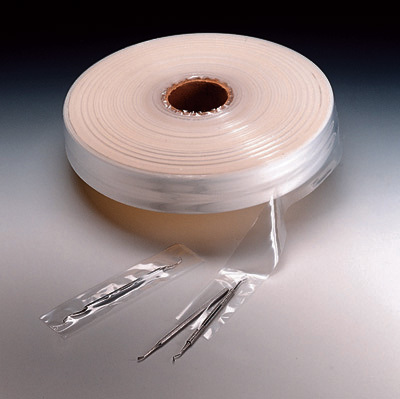 Use with our tubing dispensers and heat sealers.